What’s the Difference Between Winter and Mud & Snow Tires? 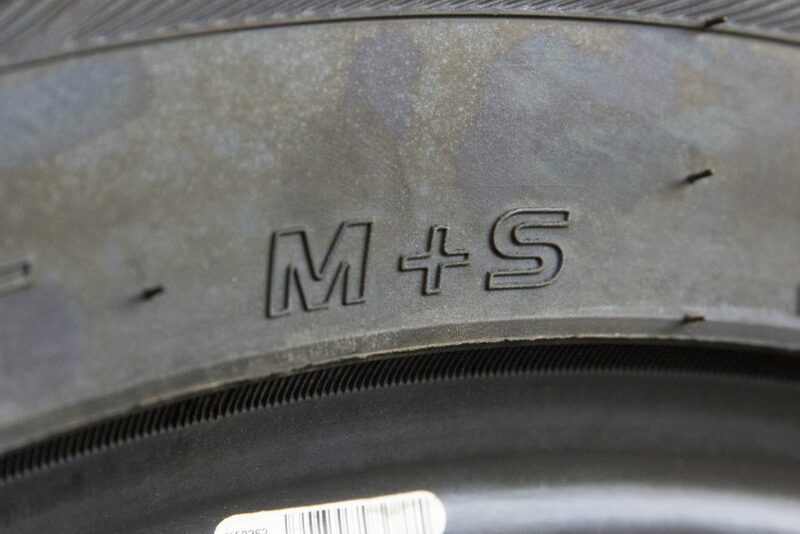 Given the name, ‘mud and snow tires,’ it would be understandable if you thought M+S tires were suited to winter conditions. And yet M+S tires are hardly winter tires. What’s the difference between true winter tires and mud & snow tires? It’s not just the name that’s confusing. Legislation in BC allows M+S tires to be permitted during winter months on provincial mountain passes and highways that previously allowed only winter tires bearing the severe service designation. So, what makes mud and snow tires different from winter tires, and why are winter tires so much safer in the cold and on snow and ice? Wider gaps between tread blocks wick away mud and snow (over summer tires). 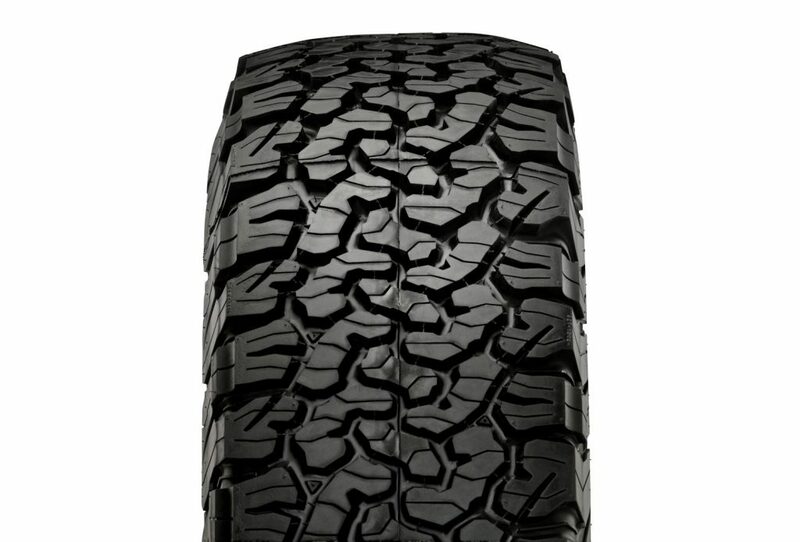 Bigger tread blocks offer extra traction capabilities in mud and snow conditions (over summer tires). As a 3-season tire, the rubber compound contains less natural rubber. Thanks to its rubber compound, in temperatures of +7 C and below, mud and snow tires become cold and stiff, and won’t be able to offer reliable braking or cornering on ice or cold weather conditions. 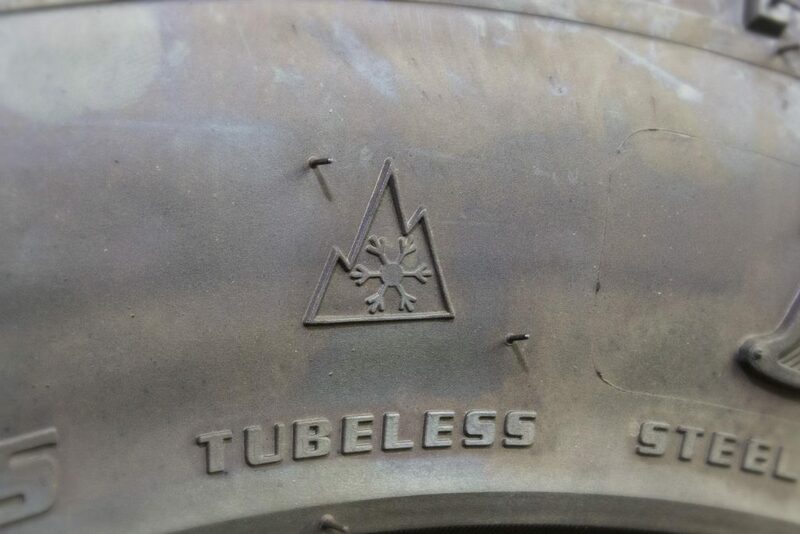 Mud and snow tires are suited to drivers who want a tire with a bit of mud performance in the warmer months and in regions that see temperatures above +7 C.
When you see this peaked mountain with a snowflake in the middle, you’re looking at the severe service winter tire designation. That means this tire has met specific snow traction performance requirements set by the Tire and Rubber Association of Canada. All-weather tires actually belong to the winter tire family, and bear this symbol as well. Learn more about the tests tires have to pass to earn the true winter tire symbol in our post The Severe Service Tire Designation. Aggressive tread blocks dig into ice, snow and slush. Wide grooves between tread blocks expel snow and slush. 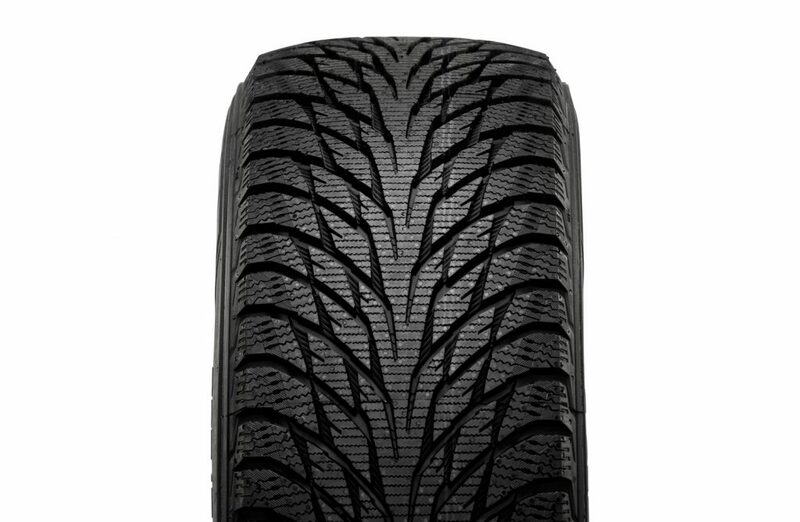 Natural rubber in the tread compound helps winter tires stay soft, flexible and grippy in sub-zero temperatures. Tires designed for use in severe winter conditions can handle both snowy, slippery roads and sub-zero temperatures. Compared to M+S 3-season tires, winter tires offer superior braking and cornering performance on wet and rough ice, soft and hard-packed snow, and slush. We’ve got a great visual of the difference between all-weather tires, all-season tires, winter tires and studded tires. Through Kal’s Tire Testing, we’ve also got some incredible third-party tire testing data so you can see how tires across categories actually perform in real winter conditions. Winter tires offer safer, more reliable performance for drivers who face temperatures at or below +7 C, ice, snow and slush. It’s also a safer option for those who travel through mountain passes. In a news release about surging use of winter tires, Tire and Rubber Association of Canada (TRAC) president Glennn Maidment says more drivers on winter tires means our roads are safer for everyone. Do you live in an urban centre or a region with mild winters, but you want more safety for unpredictable weather or trips through areas with common winter conditions in Canada? Meet the all-weather tire, a designated winter tire that doubles as a summer tire for reliable year-round use. Not sure which tire is right for you? Talk to Kal! Visit one of our Kal Tire locations near you, or chat with a team member online or on the phone. We’re here to help, and help make our roads safer for everyone!